Labour MP Anġlu Farrugia has resigned as deputy leader of the Labour Party after he accused Magistrate Audrey Demicoli of political bias last Sunday. In a press conference Dr Muscat said Dr Farrugia had shouldered his responsibilities and acted out of loyalty to the PL, while standing by his arguments. He did not comment directly on whether Dr Farrugia would still be an election candidate but said the former deputy leader had indicated he would not seek election. Dr Muscat thanked Dr Farrugia for his service. He denied that Jason Micallef, a political rival of Dr Farrugia on the Mosta district, was involved in the developments. An election for a new deputy leader for Parliamentary Affairs will be held immediately. Nominations will be received tomorrow and on Saturday with the election due to be held on Thursday and Friday. It will be open for all Labour MPs and MEPs. Magistrate Demicoli had acquitted a man of vote rigging in the March 2008 election. Her judgment was overturned by an Appeals Court, which found the restaurateur in question guilty of threatening to sack one of his employees if she did not vote for the Nationalist Party. The restaurateur was fined €800. The news comes days after Labour decided to send rebel MP Franco Debono for a debate on Xarabank with the PN’s newly elected deputy leader Simon Busuttil instead of Dr Farrugia. Dr Farrugia has been a member of Parliament since 1996 and deputy leader since 2008. He is a former Police superintendent who graduated as lawyer before standing for parliament. In a reaction, the PN in a statement said its deputy leader, Simon Busuttil, was causing an earthquake within the Labour Party. It said that the PL's actions on Friday, when it tried to hide Dr Farrugia and what happened on Saturday showed the state of the Labour Party in Opposition and one could only wonder what would happen were it in government. 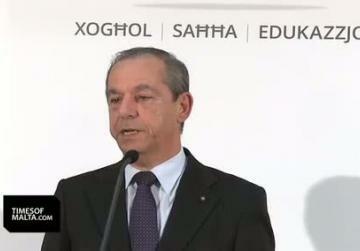 The PN said the PL was overcome by panic after Dr Busuttil's appointment. 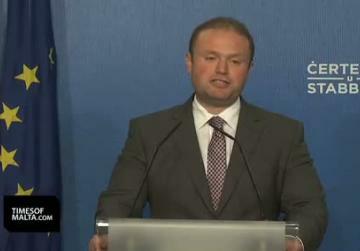 Dr Busuttil was setting Labour's agenda and Dr Muscat was reacting to it. The Labour excuse about the resignation was caused by the comments made against the magistrate were not being believed, the PN added. 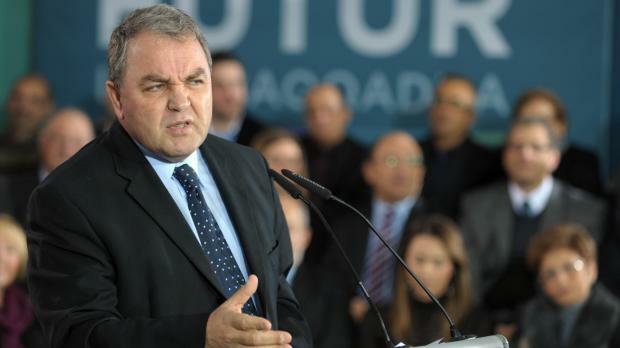 In comments later, Prime Minister Lawrence Gonzi said Dr Farrugia was a 'convenient scapegoat' for the Labour Party to cover Dr Muscat's mistakes. He said he was not surprised by what had happened. The claim that the resignation came as a result of Dr Farrugia's comments on the magistrate appeared to be a banal excuse. Dr Farrugia was the scapegoat for Dr Muscat's mistakes, including the events on Xarabank last Friday before making extraordinary U-turn on Saturday, Dr Gonzi said. On Saturday's programme, Dr Farrugia showed he did not know what Labour's policies were. There was more to Dr Farrugia's resignation and he hoped the real reasons would be revealed in the coming days, Dr Gonzi said at a reception for PN volunteers. Reacting, the Labour Party said this evening's developments showed the different standards of the two parties. In the PL, officials shouldered their responsibilities and in the PN people such as Austin Gatt continued to evade no confidence motions right up to the end.